Mae J. Nam is determined to use her legal education at McGill to effect positive change for vulnerable and exploited women – especially those of Filipino descent. Nam’s mother was born in the Philippines, but came to Canada to work as a live-in domestic worker. Today, thousands of Filipino women come to Canada through Immigration Canada’s Live-In Caregiver Program. Through her mother’s stories, and through learning about the experiences of other women in the Canadian-Filipino community, Nam has come to understand the hardships many domestic workers are forced to endure right here in Canada – and has chosen to dedicate her life to fighting a program she believes has its roots in slavery. 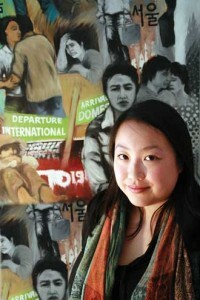 Nam’s advocacy work began while she was still completing her B.A. at McGill. She helped found the Philippine Women’s Centre of Quebec (PWC-Q), an organization dedicated to promoting the rights of domestic workers in Canada. Through intense lobbying efforts, Nam and her fellow PWC-Q volunteers successfully fought the deportation of Laila Elumbra, a Filipino domestic worker who came to Montreal under the Live-in Caregiver Program, but fell into a coma two months short of the 24 required to be eligible for permanent resident status. Now a third-year law student, Nam is researching the lives of domestic caregivers with McGill Law professor Adelle Blackett. She is also working to develop a judicial reference on equality rights and Charter cases under the supervision of Court of Quebec Judge Juanita Westmoreland-Traoré and Ontario Court of Justice Maryka Omatsu. Through the PWC-Q, Nam is planning to mount a Charter challenge of the Live-In Caregiver Program, which she believes discriminates against Filipino women. “There are so many Lailas in Canada, but the only way for a community to strengthen itself is by banding together and working together. We’re focused on empowerment from the ground up,” she said.